What an amazing name for a team. I can't say that I'm a big advocate of the product in question but it certainly is an eyebrow raiser whenever I talk about this shirt with people. The material of the shirt is decent enough. The collar feels a bit thin but other than that I've got no major complaints. The logo is very shiny which pops out on the fairly boring colour scheme. In 2009 and with the shake up of Thai football in general, all company based teams had to become sports entities, thus forcing out the like of Bangkok Bank and Krung Thai Bank. TTM decided to re-locate from Bangkok and move to Samut Sakhon Province and renamed themselves TTM F.C. Samut Sakhon. They had in fact moved in the second half of the 2008 season but kept the same name TTM until 2009. Games would be played at the Samut Sakhon Stadium. This name change and new identity would only last one season however, as again, in time for the 2010 season, they once again relocated to the province of Phichit Province and renamed TTM F.C. Phichit. This did not go down to well with some supporters of Thai football as they had moved from a province that previously didn't have a football club and moved to a province that already had a team, Phichit, who had worked hard to gather a supporter base. The plus side of TTM moving to Phichit is that from their previous home a new club was formed, Samut Sakhon. After two season of mid-table anonymity in Phichit, the club took the gamble and tried their luck in the northern city of Chiang Mai. This move was to prove to be disastrous as TTM finished in bottom place and were relegated from the TPL in 2012. 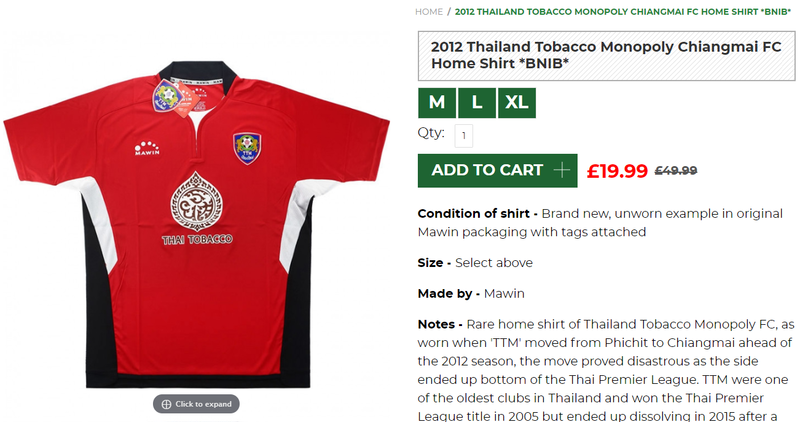 The club were shunned by the locals who preferred to stick by their regional league side Chiang Mai FC. In 2013 they moved to Lopburi, then in 2014 they returned to their original home of Bangkok, ground sharing with Customs United F.C.